Experiencing unprecedented [percentage] growth, AtlasIED is now strategically building its team to better serve commercial markets that include corporate, educational, healthcare, retail, transportation, and government environments. Recent AtlasIED appointments include General Manager Justin Young, Vice President of Sales Michael Peveler, VP of Marketing and Corporate Communications Gina Sansivero, and Director of DSP/Amp Engineering Tom Lureman. Justin Young’s expertise in materials management, operations, test engineering, and quality assurance, along with his decades of AV industry experience, create the ideal fit in his new role as general manager for AtlasIED. He comes to AtlasIED from Harman International, where he held roles from operations manager to senior manager of global test engineering (advanced manufacturing). An MBA with degrees from Purdue University, the University of Phoenix, and the University of Virginia - Darden School of Business, Young is a creative who is continually looking for new challenges and problems to solve. He considers himself a “student of business leadership” and looks forward to the opportunities his role with AtlasIED will offer. An expert with a proven track record in new market development resulting in significant growth, VP of Sales Michael Peveler comes to AtlasIED from projector manufacturer Barco, where he was director of sales, learning experience. At Barco, he created and managed an education vertical strategy and sales team to create a consistent revenue stream. Prior to his role with Barco, Peveler was vice president of global sales for wePresent WiFI. Before that, he spent 17 years at AMX, making the transition to the new team at AMX / Harman Pro. 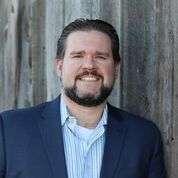 An accomplished public speaker and published writer, Peveler has experience in building programs, teams, and projects that yield impressive results. 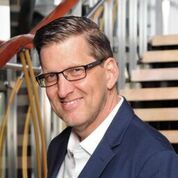 In his new role at AtlasIED, Peveler will oversee more than 44 dedicated sales managers, vertical market managers, and technology specialists, as well as assist AtlasIED’s worldwide network of manufacturers’ reps, offering the product knowledge, service, and support AtlasIED is known to provide. 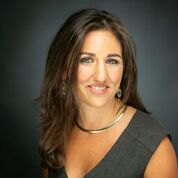 AtlasIED’s new VP of marketing and corporate communications, Gina Sansivero is an AV industry leader and influencer skilled in content marketing strategy and execution, marketing communications, brand advocacy, business development, sales management, and strategic partnerships. She comes to AtlasIED from FSR, Inc. where she was the director of business development, education. Early in her career, she founded Project Green AV, an initiative devoted to providing eco-friendly ideas, information, products, projects, and discussions to the audiovisual industry. In her role with AtlasIED, Sansivero will create, manage, and track all marketing initiatives, manage internal and external communications, and work with outside agencies like KMB Communications to elevate and amplify the AtlasIED brand in print and digital media. Tom Lureman, Director of DSP/Amp engineering for AtlasIED, joins the company from Harman Pro, where he worked his way up from field support technician to management roles. Before that, Lureman was an electrical compliance technician for renowned amplifier manufacturer Crown International. An MBA with degrees from Purdue University and Indiana University South Bend, Lureman possesses a unique combination of technical expertise and management skill that makes him the perfect addition to the AtlasIED team. As AtlasIED increases the depth and breadth of its already expansive product lines, Lureman’s knowledge and oversight will help AtlasIED grow across all relevant vertical markets. With unprecedented growth in the past year, AtlasIED moves into 2019 with ambitious goals that include new product launches, market growth, and an increased industry profile. A favorite choice of high-profile performers, government facilities, transportation hubs, corporate venues, and more, AtlasIED products combine state-of-the-art sound clarity with ease-of-installation and the flexibility today’s commercial integrators need. AtlasIED will be at Integrated Systems Europe at the Amsterdam RAI February 5 – 8, 2019 in stand 6-K160.